Those following the events concerning the Centennial of the Lake Washington Ship Canal and Chittenden Locks will want to mark the following date on their calendar. On Sun Sept.10, 2017, local documentary videographer will present his latest movie in the Visitor Center at the locks. The following is from MakingtheCut100.org and gives a brief description of what you may expect. Also on the day, two local authors will be on hand to discuss their recent book on the history of this project which had its roots in the 19th century. I believe their book is also being carried in the gift shop so it's a great opportunity to purchase a little local history or to do some advance Christmas shopping for the historian on your list. Many of the projects which have taken place this year have received support from 4Culture and this support is gratefully acknowledged. 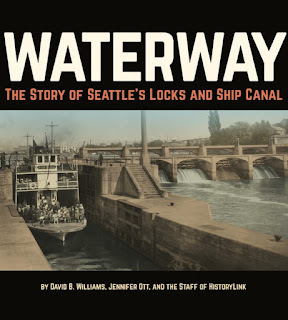 Vaun Raymond will present his documentary on the Ship Canal, “Seattle’s Waterway to the World,” Sunday, September 10, beginning at 1:30 p.m. in the Visitor Center at the Locks. 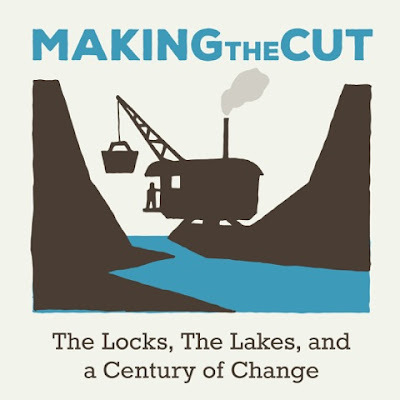 The 60-minute comprehensive documentary will be followed by a short mini-documentary, “Behind the Scenes,” about the making of Raymond’s “Legacy of the Locks” series. David Williams and Jennifer Ott, authors of the book Waterway: The Story of Seattle’s Locks and Ship Canal, will be on hand to assist with post-screening discussion. Join us as we wrap up a year of commemorating and celebrating the Ship Canal! In the meantime, all of Raymond’s Legacy of the Locks videos (and others) are available here.